It is not every day one of your acts is asked to perform in London’s prestigious Hyde Park. It is an even rarer occasion where one of your acts is asked to perform on the same bill as the legendary Rolling Stones. This is exactly what has happened to This Is Now Agency’s very own Public Service Broadcasting. Public Service Broadcasting, or PSB as they are known, have been hand picked to appear at the recently announced Rolling Stones show as part of Barclaycard Presents: British Summer Time. 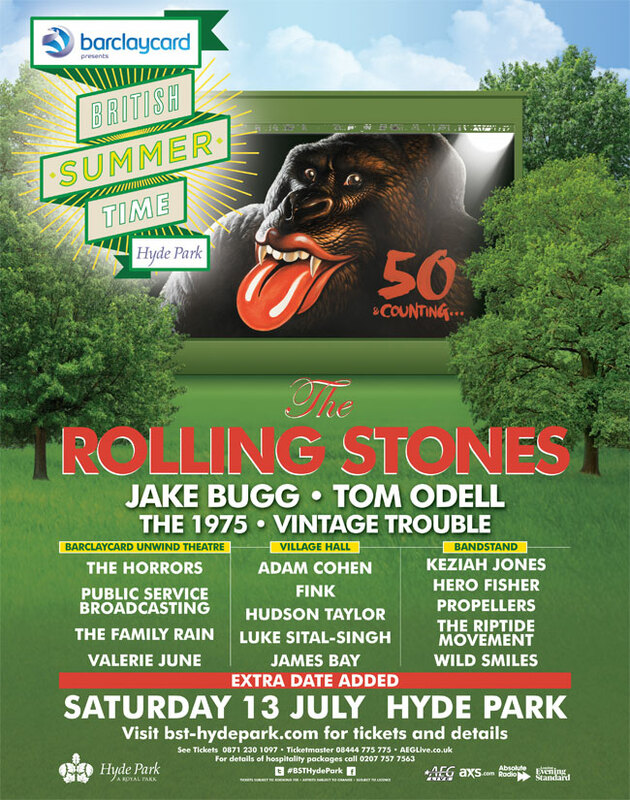 Also on the bill, Jake Bugg, Tom Odell, The Horrors, The 1975 and lots more amazing talent over four stages.